The Panel on Future Directions in Control, Dynamics, and Systems has prepared a report to provide a renewed vision of future challenges and opportunities in the field, along with recommendations to government agencies, universities, and research organizations for how to insure continued progress in areas of importance to the industrial and defense base. This report documents the findings and recommendations of the Panel on Future Directions in Control, Dynamics, and Systems. This committee was formed in April 2000 under initial sponsorship of the Air Force Office of Scientific Research (AFOSR) to provide a renewed vision of future challenges and opportunities in the field, along with recommendations to government agencies, universities, and research organizations to ensure continued progress in areas of importance to the industrial and defense base. The intent of this report is to raise the overall visibility of research in control, highlight its importance in applications of national interest, and indicate some of the key trends that are important for continued vitality of the field. the academia, industry, and government. 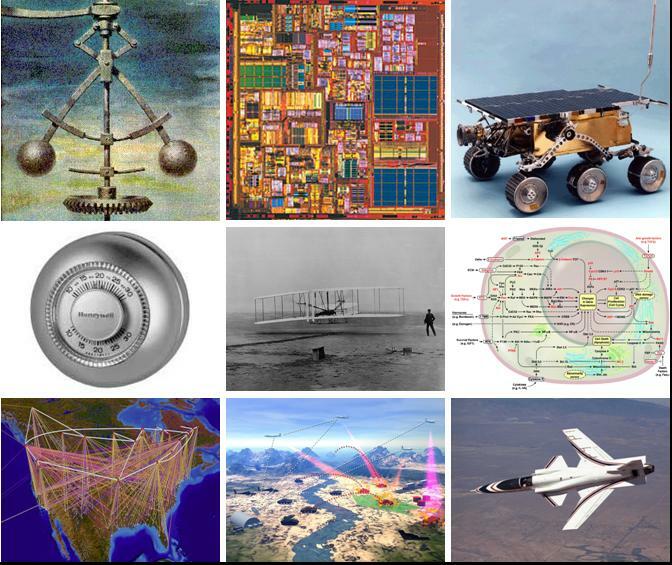 Additional meetings and discussions were held over the next 15 months, including presentations at DARPA and AFOSR sponsored workshops, meetings with government program managers, and writing committee meetings. The results of these meetings, combined with discussions amongst panel members and within the community at workshops and conferences, form the main basis for the findings and recommendations of this panel. The report was released at an AFOSR-sponsored workshop on Future Directions in Control, held in Washington, DC on 26-27 April. This section contains additional information that we have collected as part of the panel's activities. Page maintained by Richard M. Murray. Last updated 10-Jan-2006 .